It’s been just under two months since the latest title in the Super Smash Bros. series, Super Smash Bros. 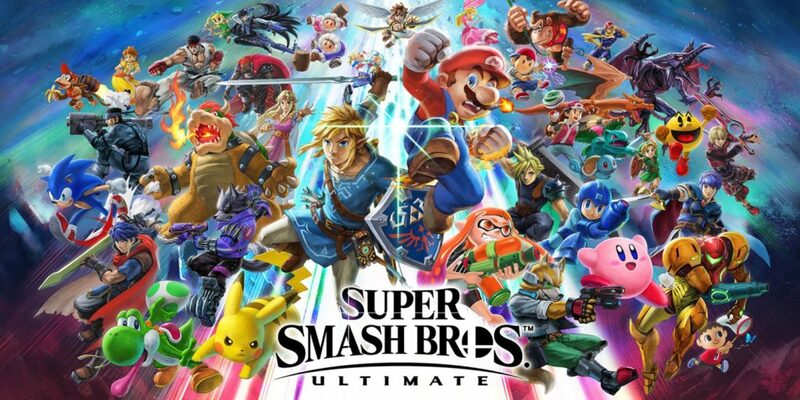 Ultimate, was released for the Nintendo Switch, and it has already broken series records for sales; outselling its predecessor, Super Smash Bros. for Wii U. But the question is, why? What does Ultimate bring to the table that those which came before did not? The biggest difference is accessibility. Super Smash Bros. Ultimate is the most accessible smash game to date; due to its hardware and software which allows you to play when and where you like. The Nintendo Switch, acting as a portable console, allows people to play anywhere they want. But what allows it to trump the Nintendo 3DS is its consistency. The 3DS edition of Super Smash Bros. was a different game than it’s Wii U counterpart, with the only consistency being balance and mechanics. The 3DS saw different game modes, graphical styles, and the controversial lack of a joystick. Ultimate is different. The experience is the same, whether practicing, on the go, or playing at home with friends and family. It has the same graphics (albeit with slightly down-scaled resolution), the same game modes, and same controller. The ability to switch between a static console, with whatever controller you prefer, with an “on-the-go” device is a huge advancement over last generation titles. Beyond that, the game itself is looking to be the most balanced game in Smash history. This means that the large and continually expanding cast of characters gives any one character a chance to win. In Super Smash Bros. Melee for the Nintendo GameCube (circa 2001), there were 13-15 viable characters at a high level of play out of a cast of around 25. The smaller cast left players fewer options in which to choose and still find success. This flaw has improved with recent titles and Ultimate has nearly perfected it, with only a handful of characters out of the cast of 70+ that are considered “bad” (namely Sheik, Rosalina and Luma, and Bayonetta), meaning nearly any character you want to play, and any character that you loved growing up can take you far. Smash Ultimate looks to be one of the most polished, well-balanced games in the franchise. With impressive visuals and engrossing mechanics, it’s a game that deserves the hype. If you want to get into the series, there is no better place to start than Super Smash Bros. Ultimate.